The power of social media is unpreceding. 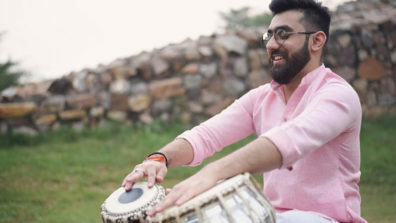 And Lisa Mishra happened to have a dream experience thanks to one of her music video getting noticed by Bollywood starlet, Sonam Kapoor who then went on to offer her a chance of a lifetime. 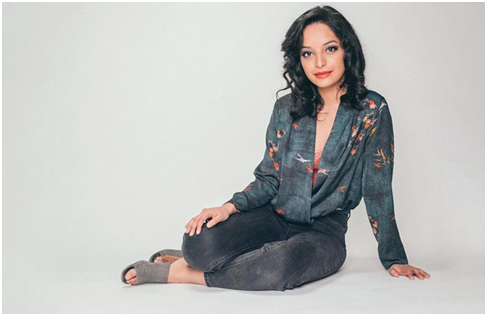 Chicago-based Lisa Mishra started her YouTube journey from a young age of 13 in 2007. 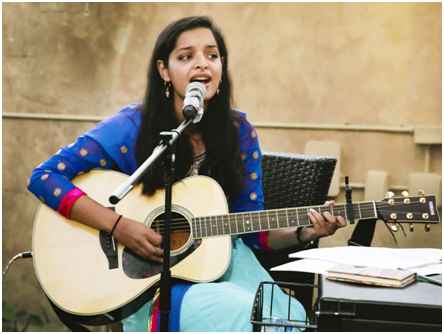 The lack of South Asian singers on the platform is what spurred the decision for her. However, Lisa’s mother was uneasy about putting herself out on a huge public platform at such a young age. Lisa did not hold back though, she instead decided to upload only audios for her first 4-5 videos. She eventually switched to webcam, then Macbook camera, finally ending up using her cellphone for recording. She’s a one-person team – from shooting her videos in a single take to editing them, she has done all on her own since the start. She left left in 2000 and Chicago her new home but did not forget her roots. That’s evident in her work. 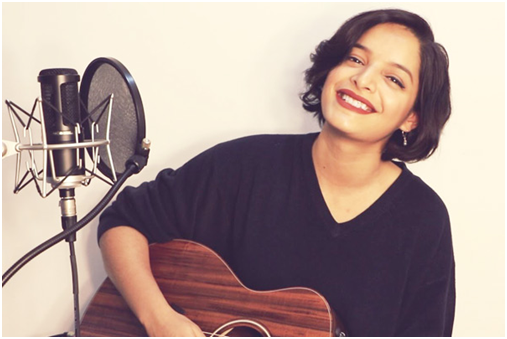 In 2014, Lisa uploaded her first cover of a Bollywood song, Kabira. She had merely 400 subscribers at the time. Over time, as she kept on uploading Bollywood covers, Lisa started receiving positive response that kept her going. It started when Lisa uploaded a video of herself singing a mash-up of ‘Tarefaan’ from Veere Di Wedding and ‘Let me love you’ from DJ Snake featuring Justin Bieber and posted it to her Instagram. As luck would have it, the video caught the attention of Bollywood star Sonam Kapoor who loved it, even reposting it on her own Instagram account. The video received tremendous response on the social platform with even Anil Kapoor and Sonam’s brother Harshavardhan Kapoor commenting on it. Even Ekta Kapoor reposted the video. Then came her Cinderella moment when Sonam’s sister, Rhea Kapoor slid into her DMs and asked her to fly to Mumbai to record a reprise version of Tarefaan for the movie. It was truly a dream come true for the youtuber. The singer flew down to Mumbai and recorded the song where she also met the entire cast of Veeri Di Wedding. She especially had a fangirl moment when she got to meet her childhood idol, Kareena Kapoor. After 11 years of hard work and posting her music on social media, Lisa Mishra finally got the recognition she deserves. 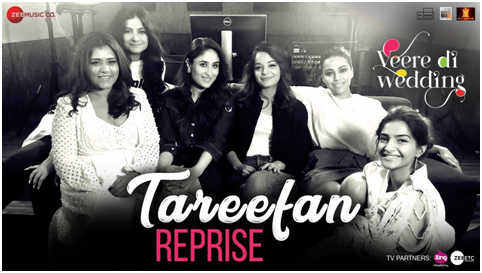 Her fan following saw a spike after the Tareefan reprise video was release with a lot of positive response. As for her future plans, Lisa plans on sharing her music to the world but won’t be quitting her day job anytime soon. She’s just waiting for her next big break before taking that leap.